Bloating of the stomach is situation in which the stomach is been filed with gas and may result into swelling. 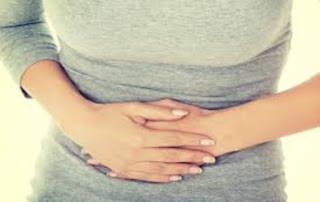 It can occur as result of the food consumed and the end product of its digestion, but some additional factors such as medication can also cause bloating. This condition causes discomfort and at the same time it is unhealthy. Have you made an observation and discovered that bloating is making your life uncomfortable and miserable? You do not need to be experiencing such discomfort every day. You can study your body and learn from it the message bloating is trying to pass through, and at the same time discover possible solutions you can use to reduce or stop the bloating fast. Below are some strategies that can come in handy. Read on! Most of the health and nutritional experts have discovered that food and beverage is actually the main cause of bloating. In some cases, medications and side effects from medications can also lead to bloating. Additionally, some chronic health disorders can also cause bloating. If you are worried and concerned about your bloating, it is better you consult your doctor or other health professional. You can actually trace the actual cause of your bloating by keeping a food diary. Make a list of all your meals, drinks, and snacks. Note if actually you felt bloated after consuming a particular meal, snack or drink. If yes, then that means you might be having a food allergy. Beans is a food that is often victimised as the actual cause of bloating, and nutritional experts suggests that it is better you avoid them or try to prepare them differently. If beans causes bloating, then you can reduce the cause by soaking them properly before you finally cook them. Then you can actually cook them longer, just to reduce the bloating effect. If this cooking tips does not help, then you can consider eliminating beans totally from your diet. Do you consume a lot of cauliflower and broccoli? These are some of the cruciferous vegetable category that can actually cause bloating. Cruciferous vegetables actually contains specific type of sugars that is actually difficult to be digested by the digestive system. However, if you cannot do without consuming this category of vegetables because they are quite healthy for you, then, expert suggest that you normally take supplements of digestive enzymes to enhance digestion. Do you experience discomfort after consuming a bowl of ice cream or a piece of cheese? That may be a symptoms of lactose intolerance, and it can eventually lead to bloating. Dairy products contain lactose (a type of sugar), which is quite difficult for some people to digest. You can as well take digestive supplements to reduce bloating fast, because these supplements contains lactase (an enzyme that easily breaks down lactose). Consuming milk can help people recondition their digestive systems to accept dairy foods without discomfort". His studies discovered that controlled consumption (example a half glass of milk on a full stomach) can help the human system build up a tolerance for lactose products. If you are consuming a large amount of salty or processed foods, then it is high time you call it quit. Salt can actually lead to bloating, so it will be of benefit to you if you can actually monitor you consumption of it. Potato chips and processed foods can contain a huge amount of salt, even some soup. It will be advisable if you can always read the label on each food product you buy from the market so as to ascertain the exact quantity of salt it contains. Certain types of fruits can actually lead to bloating when consumed. Even common fruits such as apples can actually cause bloating. Fruits contain high level of sugars that can be quite difficult for some people to digest. You can watch the rate at which you consume fruits and try different types that contains few amounts of sugars. Ginger is one food that can help you reduce bloating fast and heal your digestive system. You can include ginger in several of your diets, or you can easily chew ginger candies or dried pieces. Ginger supplements reduced markers of colon inflammation in a select group of patients, which suggest that this supplement may have a potential of preventing colon cancer, according to a study published in 2011 in Cancer Prevention Research. Peppermint can also come in handy in reducing bloating fast and make you feel better. It is a popular herb used as remedy for several stomach issues. Try to include this herb in your food, drink tea made from it, or lick sweets that are made from it. Are you the type that always drink sodas with every meal? Then call it quit. Sugary sodas (and even natural fizzy drinks) can actually lead to bloating. The carbonate present in the drink is the actual culprit, just eliminate its consumption and reduce bloating. Women oftentimes, experience bloating after eating or drinking a lot, especially during their menstrual cycles. But ovarian cancer can actually be the cause if a woman is feeling bloated for more than two weeks or after her period. The best advice is for you to visit your doctor for proper check up and diagnosis. Conclusively, Bloating does not have to ruin your life by causing discomfort and making you feel sick. Take control, find the culprits that are causing it and most importantly, try to reduce the bloating fast. Feel free to share this piece of information by using the social icons below.